Are you marketing through Facebook? Businesses all over the world hope to transform the Facebook’s 1 billion users into the website traffic. But according to a study published at social@Ogilvy – it has been estimated that brand posts are just seen by 6 percent of the page fans, and the figure is expected to fall more is coming years. With the regular changes in Facebook’s news feed algorithm, using the right tactics will get you best results. Here are the three tips that will make your Facebook post perform better. Rather than debating on the length of Facebook posts, consider the time that user will spend on your page. According to a study by the National Center for Biotechnology Information, human just has an attention span of seconds. If you want your post to perform better, write an engaging text by following a good social media marketing plan that will grab your audience’s attention in no time. They say that best time to publish on Facebook is 3 pm. And, the best days to post on Facebook are Thursday and Friday. If you are looking to make your Facebook post perform better, go to your Facebook insights section and check when your fans are online. Then, choose the hours when the most of your followers are logged-in, and your competitors aren’t posting. Besides posting at an appropriate time, you should also consider the posting freqeuncy for your business page. 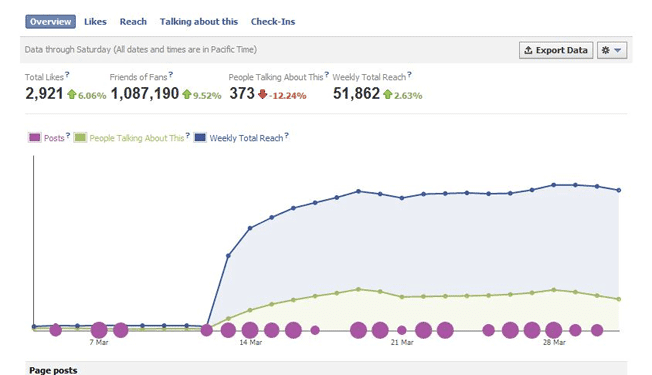 Facebook pages with thousands of followers get more reach, and link clicks when they start posting more. However, these numbers drop for the pages with fewer followers. Before increasing your posting frequency, analyze the type of business and number of followers you have. There is no denying the fact that Facebook is on its way to become the largest platform for gaining the website traffic. But as Facebook’s organic reach has been gradually declining for many businesses, these tips will help you to make your post perform better.